urbanbaby&toddler magazine: STAGE FRiGHT - The THRILLusion Show! STAGE FRiGHT - The THRILLusion Show! Halloween's coming early to Vancouver! STAGE FRiGHT is a magic show like nothing you've ever seen before! 90 minutes of spine-tingling Halloween magic and mystery for the whole family! On Sunday October 27th Wings of Courage Orphan Outreach Society is hosting Illusionist John Kaplan and his team from Richmond as they perform in Stage Fright: The Thrillusion Show. Proceeds from this show will go directly to Wings of Courage, a charity that facilitates communities in Uganda to come together and support their most vulnerable orphans and child-headed households. 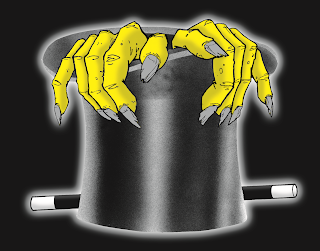 Stage Fright is an all-ages magic show and Halloween costume event that will be held at The Westin Bayshore Ballroom (1601 Bayshore Drive) in Vancouver at 1:00 pm on October 27th. Tickets are $12 each or $40 for a group of 4 and can be bought in our online store at www.wingsofcourage.ca or at the door for $15 each/$50 for 4. Put on your costumes and come and join us as we make magic for orphans and child headed households in Uganda.